Our new Boat Race Lager was officially launched on the banks of the River Thames during The Boat Race on Saturday 24th March 2018. We had a fantastic afternoon giving out free bottles of our new Boat Race lager to spectators who had come out to cheer on the Oxford and Cambridge University rowing teams at the world-famous Boat Race. 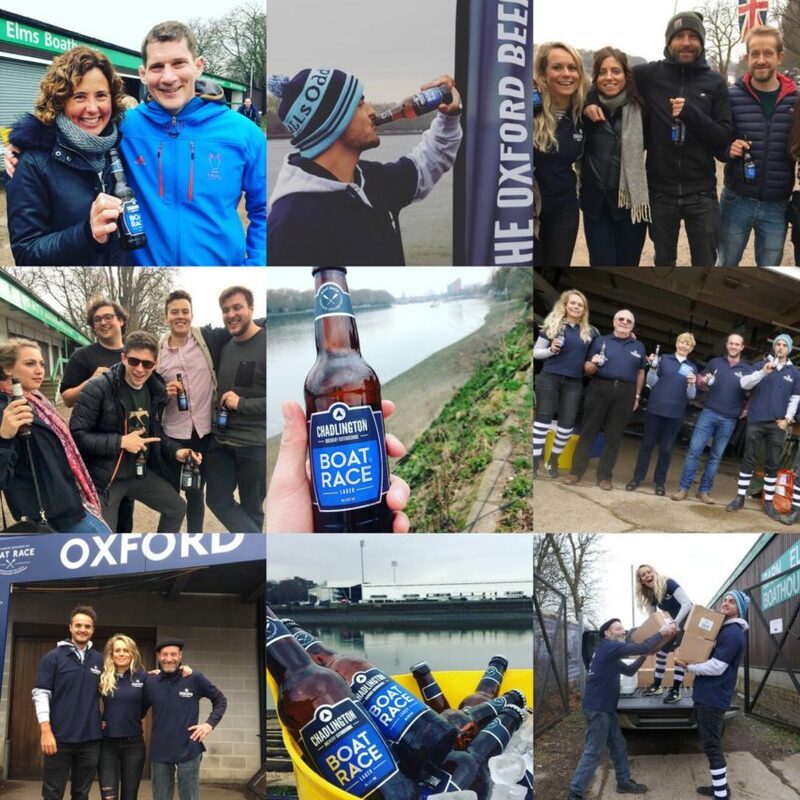 On the day we had a competition for spectators at the event to be in with a chance to win a case of Boat Race Lager (24 bottles) and all they had to do was take a photo enjoying their first bottle of Boat Race with the hashtag #theoxfordbeer on Facebook, Twitter or Instagram to be entered into the competition. The winner was Michelle Jackley with this lovely post on Instagram – a case of Boat Race is on its way to Michelle as we speak!